Sept. 11, 2018 - More than 800 Egyptian tombs have been mapped for the first time in an ancient necropolis. Located near the village of Lisht in northern Egypt, the tombs were long hidden under feet of sand. They date back more than 4,000 years to the Middle Kingdom period. 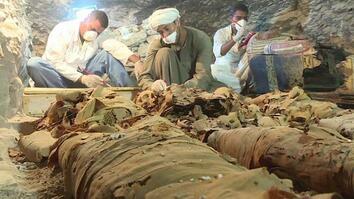 Most of the tombs were already looted by the time researchers explored them. 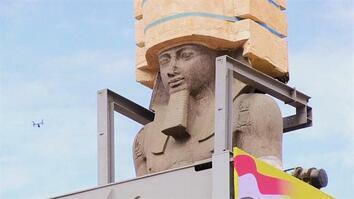 But remaining artifacts and the tombs themselves offer insight into the lives of Middle Kingdom Egyptians. 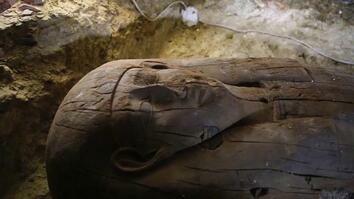 Click here to read More Than 800 Egyptian Tombs Revealed in Ancient Burial Ground.